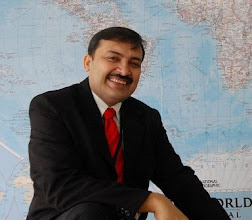 What is the best mindset while preparing for Civil Services exams? Well, no doubt, if you wish to be a doctor, you should imagine being in the shoes of one. It helps understand - to some extent - the challenges and the pluses. Similarly, you can try to imagine yourself as a Civil Servant even while preparing for the exams, as that can (to some extent) help you raise the bar from time to time. 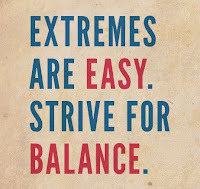 Avoid the Extremes - "All politicians are corrupt. All judges are lazy and slow. All policemen are brutal. All teachers are idiots. All businessmen are profit-hungry". If you have been conditioned to think like this, your preparations for IAS are doomed. This is so because India has had exceptions to the above in all fields. It's only that you haven't read enough to discover those names. 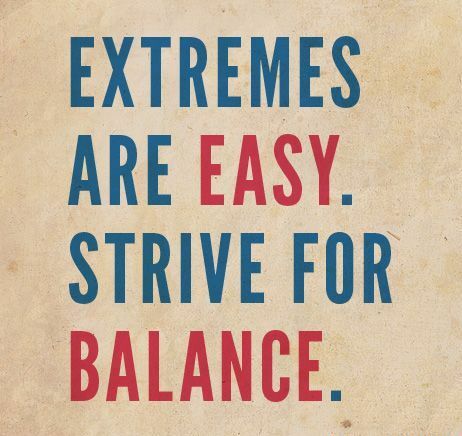 Think extreme => Write extreme => Look like an extremist => Fail for sure. Embrace the Truth - Our personal opinions can, at times, cloud our judgement in many matters. For example - most Indians think Pakistanis are bad people, and there is no hope for Indo-Pak relations. But turn the clock back, and you'll discover that our stock is the same. We all descended from the Indus Valley civilisation originally. So if they are bad, we are perhaps bad too. A better statement could be - "Pakistan is a horrible State, though most Pakistanis must be good people, as people are, everywhere". This is a positive way of looking at a rather despondent situation! Take a Moment to Think - The ability and desire of young Indian students to answer a question even before it is fully asked is legendary. And that's where they mostly slip. Do not hurry that much. Go a bit slow. Let the question be completed. Take a deep breath. Let a few seconds pass by. Then come up with your answer. You'll be surprised by the beauty and well-formed nature of your own answers, rather than the hurried mish-mash you'd have otherwise uttered. This will save you during interviews, and will surely help you produce better answers in the Mains. Subdue your Ego - As a civil servant, you are there to serve the government, not to question it. As a civil servant, you are there to serve the government, not to question it. As a civil servant, you are there to serve the government, not to question it. I think the point is made! Create Virtue and Wealth - Do not get bogged down by point 4 above. It does not mean that you are allowed to exercise your originality. In fact, quite the contrary! If you display a lot of positive enthusiasm and creativity, while keeping your tongue under a strong leash, then the political masters or your bureaucracy seniors will remember you as a 'person of solutions'. Your advice and inputs will be sought everytime they need to think laterally. 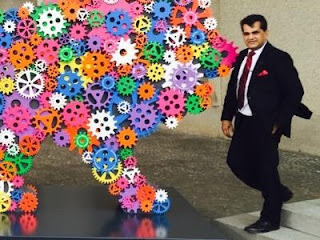 A good example is Mr Amitabh Kant, the brain behind the Make in India programme of Mr Modi. Live like a Senior Civil Servant would - Get up early. Get ready quickly. Start your work soon. Work hard and diligently throughout the day. Take a small lunch break. Don't smoke at work. Don't gossip. Read a lot. Clear today's work today. Pendings, if any, are to be noted meticulously. Prepare for tomorrow. Seek others' help if needed. Smile. Solve. Seek. I think these should be good enough for any young woman/man to build a great career, not just in the field of civil services. I wish you great luck! From your point I concluded that one should be optimistic and should accept the shortcomings and a Big picture behind it. this is really helpful but i have often found that this medicine of motivation does not lasts long its temporary, every time after i read or go through motivating stuff i remain motivated,focused,enthusiastic,full of energy for 2-3 days but after that its like as it was before that zeal goes missing, maybe distractions are more in life and its dominating too. Behaving like an ias officer during preparation really helps as we think for solutions of difficulties pertaining in policies execution. And parallel we gain experience too which help directly during service. How to have an unfair advantage always? Does an MBA help in managing family business? How to make India a super-power? Can I practice actual CAT questions? I failed a big exam twice. Should I give up? Why do IIM - MBAs get paid so much?